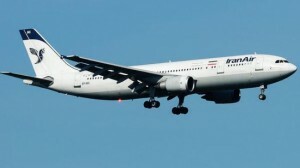 File photo shows an Iran Air Airbus A300-605R passenger plane. Head of Iran Civil Aviation Organization Hamidreza Pahlevani says the Islamic Republic plans to launch two new airlines by the end of the current Iranian calendar year (ends on March 20, 2014). “Nineteen airplanes were added to the country’s air fleet last year and for this year, several more planes will be added to the Iranian air fleet,” Pahlevani said on Friday. Commenting on licenses issued for the establishment of new airlines, the official said Iran aviation authorities have granted 18 new licenses to eligible companies last year, which are currently completing their air fleet. Iran has several private and public airline companies in operation. The oldest is the state-run Iran Air. The expansion of Iran’s civil aircraft fleet comes despite the US-led sanctions against the country’s civil aviation industry ever since the victory of the 1979 Islamic Revolution. Based on the sanctions, international companies are banned from selling aircraft or their spare parts to Iran. Iran is currently cooperating with Ukraine and Russia in the production and operation of the Antonov An-140 airliner, which can carry 52 passengers. After purchasing the production license for the An-140 from Ukraine in 2000, Iran built its first Iran-140 passenger plane in 2003.